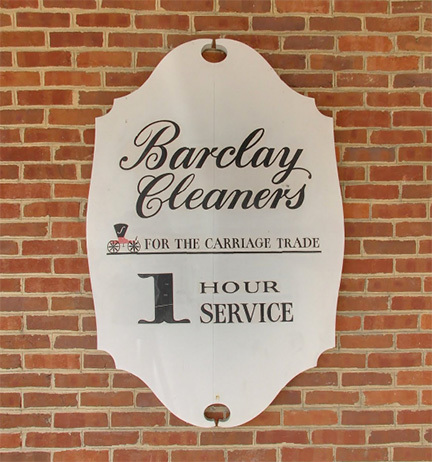 Barclay Cleaners is one of three GreenEarth licensed dry cleaners in the Greater Philadelphia area. GreenEarth dry cleaners use a non-toxic solution instead of the hazardous petrochemical, perchloroethylene, in the cleaning process. Perchloroethylene is a known carcinogen which remains in trace amounts on clothes and is either ingested through breathing, or absorbed through the skin. As one of the Kaiserman Company’s family of tenants, Barclay Cleaners shares Kaiserman’s commitment to sustainability and environmentally safe business practices. Trust Barclay Cleaners for clean clothes and a clean environment.